Gathering together as the body of Christ is central to what it means to be the church. 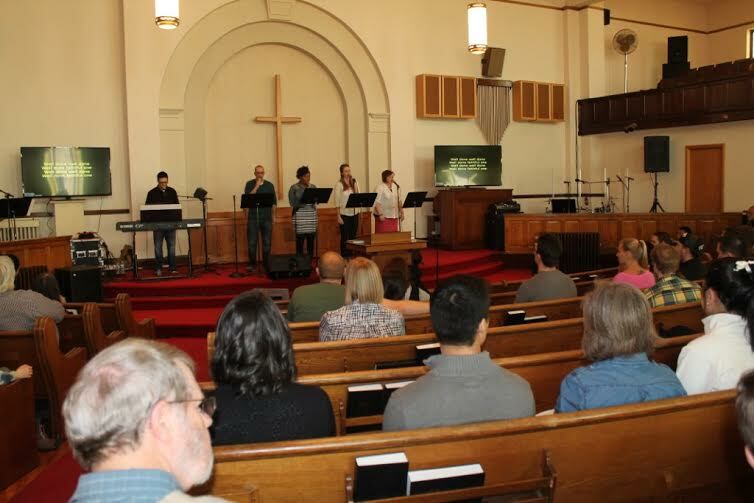 We worship weekly at our new building located on the corner of Spencer and Plainfield, from 10:30-12:00 every Sunday morning. Our address: 214 Spencer St NE. Each of these six elements is an act of worship. Every worship service will include these. We may also include other elements such as a creative video or poetry. We try to include a person’s faith story as often as possible.